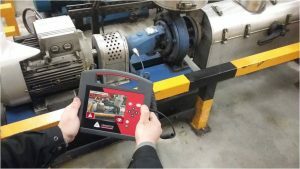 Vibration Monitoring analysis is one of the ways to monitor the health of rotating machinery in operation. From the vibrations regularly collected on a rotating machine, vibration analysis is to detect any problems and to monitor their evolution in order to plan or postpone mechanical intervention. Diagnosis: it implements more sophisticated mathematical tools. 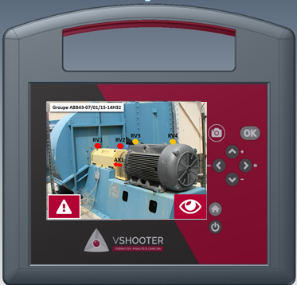 It allows to select the defective machine element causing the abnormal vibrations, detected during the monitoring..
To perform monitoring and automatic diagnosis of 75% of the most common defects, in a simply and friendly way, the VSHOOTER the first vibration analysis camera for you. Take a photo, do the measurements and get the MCP (Machine Condition Picture) to see the machine condition at a glance. Quick, easy to use, with automatic auto diagnosis system for beginners and experts. The vibrations of newly installed machines are normally placed in this zone. The machines whose vibrations are within this zone are normally considered acceptable for a long service life without any restrictions. 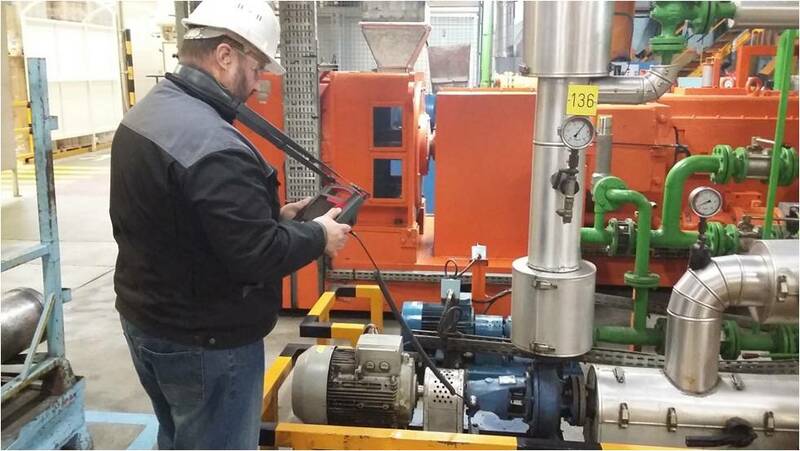 Machines whose vibrations are in this zone are normally considered unsuitable for long-term continuous service. In general, the machine can operate in these conditions for a limited time, until the opportunity arises to take corrective action where necessary. The vibration values found in this area are normally considered significant enough to cause damage. Every MCP with all the measurements related to can be stored in the memory of the VSHOOTER. Up to 1000 MCP can be stored and uploaded to a PC by mean of the USB cable supplied. For measurements values within zone orange and red the V SHOOTER VBS1T automatically performs a self diagnosis and the FFT of the Velocity and the Acceleration. On the FFT screens the user is directed automaticaly to one of the 5 most common defects (75% of faults): unbalance, bearing schock and lubrication, alignment, foundation. In case of none of these defects being detected it is recommended to use a more power full analyzer. On clicking on FFT Vshooter the FFT of the Velocity and Acceleration of all the measurements on alarm, orange and red according to ISO 10816-3&7, will be displayed. For the Velocity the 3 frequencies with the largest amplitude will also be displayed together with the self diagnosis.